The Madison hoop is a classic earring silhouette that has a bit of a twist. 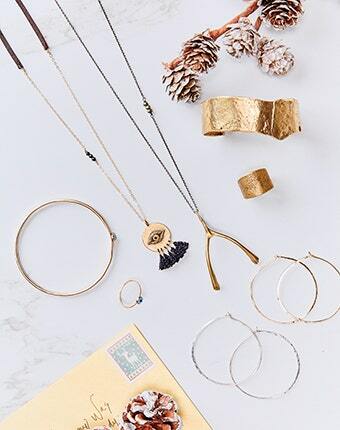 Linen and Lurex thread are wrapped around gold-plated brass hoops.The Madison hoops are handmade by global artisans, so you can feel good about your purchase knowing that you are supporting artists around the world. These hoops measure 2 inches in diameter and 0.25 inches wide.